Enko-football: Inter wants Vidic, problem is his high salary? Inter wants Vidic, problem is his high salary? Manchester United fans are quite concerned about this, who will arrive from the new football players in their ranks, while is departures from the 'Old Traford' completely in secondary importance. However, the departure of their captain should definitely be something that will make them 'shake'. 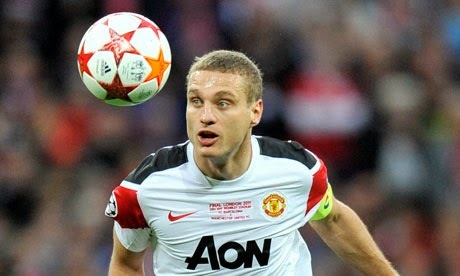 For services Nemanja Vidic is interested Inter Milan. Italians can already begin to negotiate with him, and the transfer would be implemented in June, and without compensation. The stumbling block could be the wages Serbian national team member, which is not at all small, so it remains to be seen whether Nemanja give in, or will the new owner Erik Thohir open the bag. Vidic's departure would certainly be the beginning of the shift generations on 'Old Traford'.